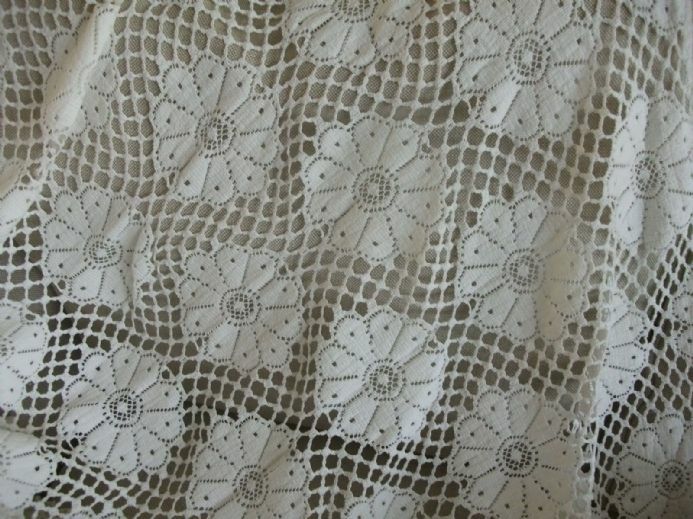 When I received the lace it was quite yellow in appearance which many pieces of vintage cotton fabrics are when they have never been washed since production. 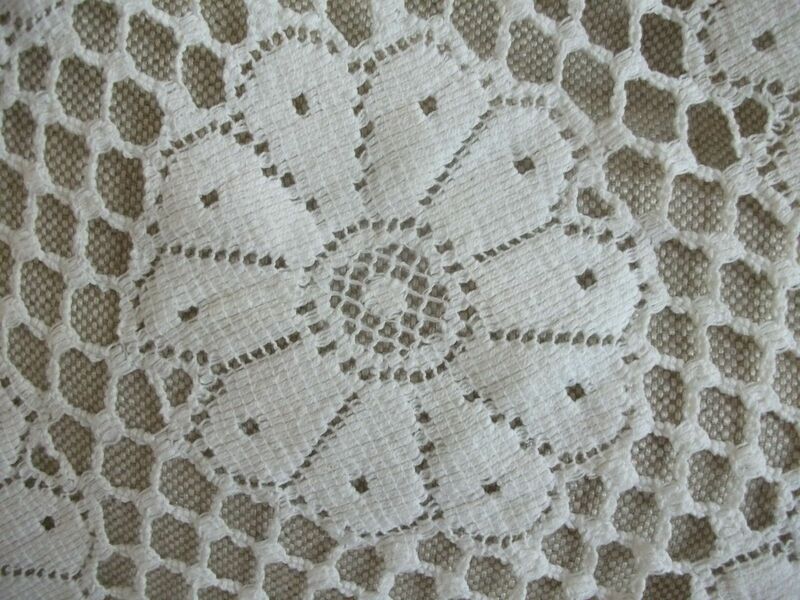 I have carefully laundered this piece which is now an even, pale cream / ivory colour throughout. 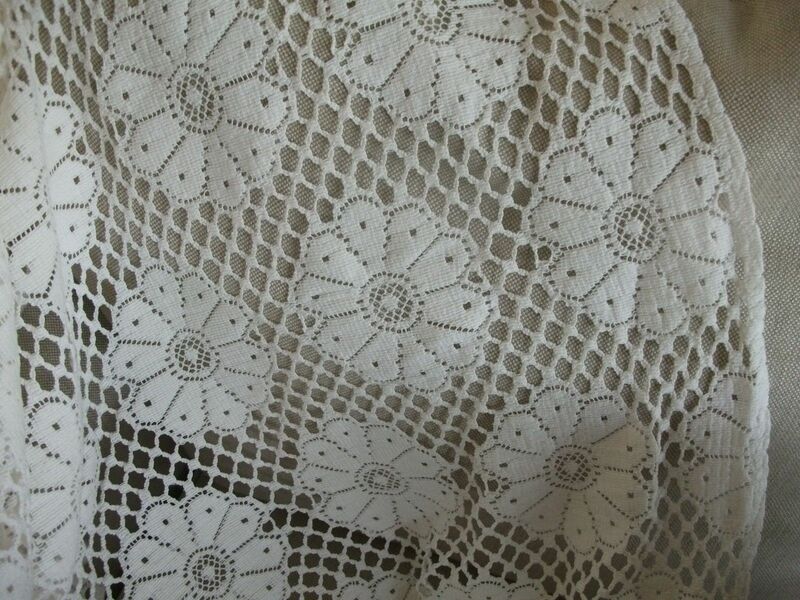 The lace has a structure of large daisy shaped flowers which measure 10cms in diameter joined together with a strong mesh woven from heavy gauge cotton. The fabric is quite heavy, this piece measures 5m x 140cms. The long sides are the selve edges and the short sides are raw and unfinished. 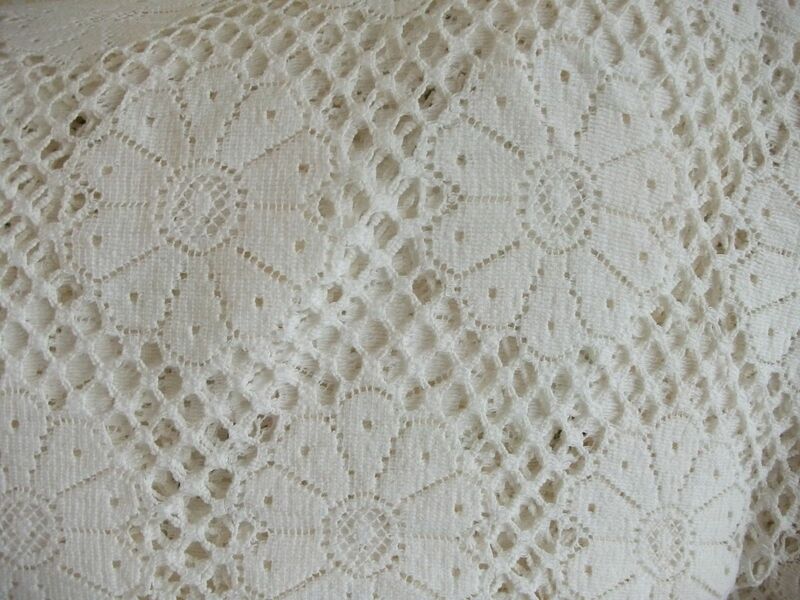 It would make a pair of beautiful throws for 2 double beds or sofas, several large table cloths or could even be suitable for curtains or original fashion designs. 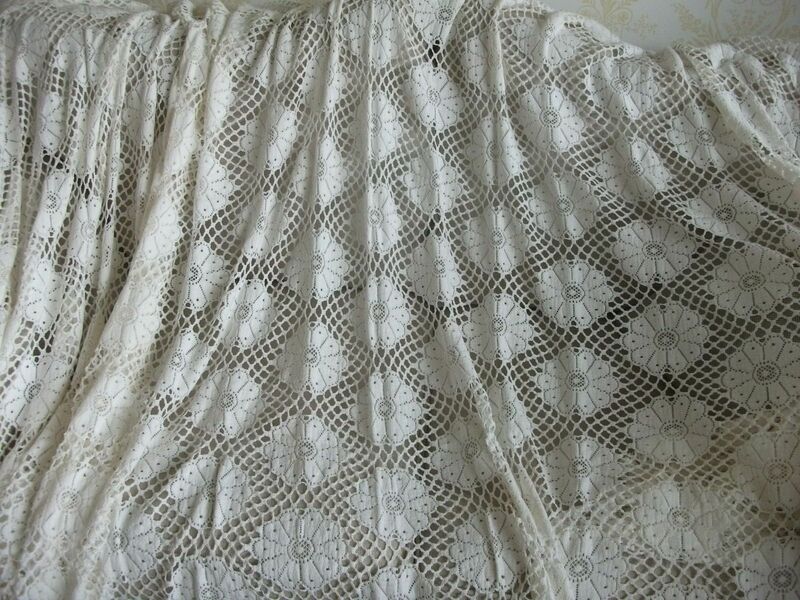 This fabric is original vintage, by definition it is not new but it is unused, I am not an expert but have described this item to the best of my ability, I cannot see any manufacturing faults in this piece. When I washed it, I gave it a gentle soak at 40oC in non biological washing liquid in the bath. 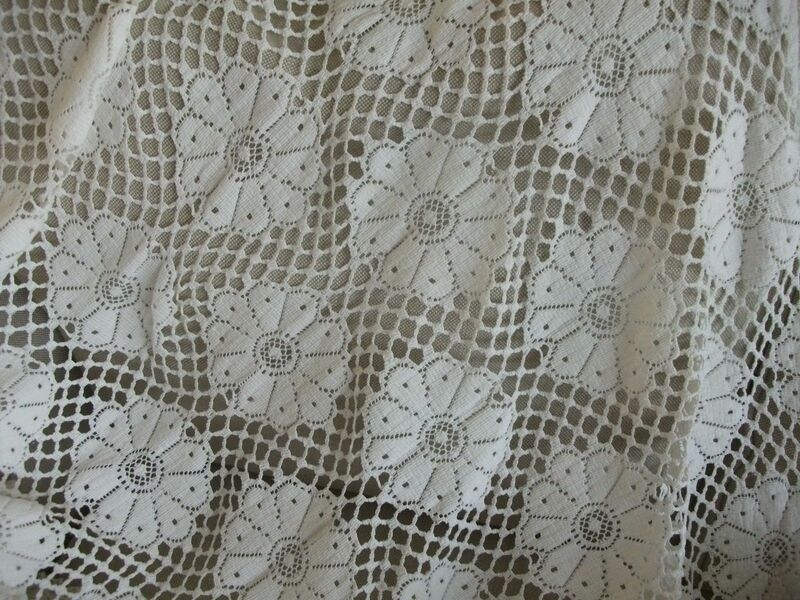 This was followed by rinsing in the washing machine and a gentle spin before drying on an airer. There was no sign of fibre weakness during the washing process. This large remnant has survived the test of time remarkably well, you are unlikely to find anything else like it!